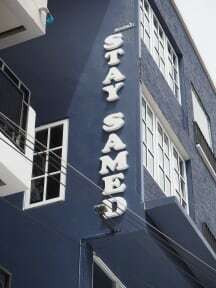 Stay Samed i Koh Samet, Thailand: Reservér nu! With a hint of nautical decoration, all dormitory rooms are fitted with air-conditioning and cleaned daily. Hot shower, towel, and essential toiletries are provided. 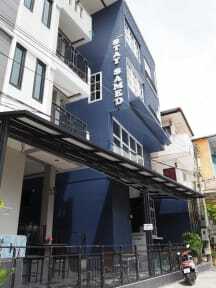 Each dormitory room fits no more than 8 guests and comes with an internal shared shower room. All beds are equipped with privacy curtain, personal light, and power socket. It is free to use a storage under the lower bed and keep your valuables in the locker.